Initially, the second installment of PopCap's award-winning tower defense game, Plants vs. Zombies 2, was planned to hit the market on July 18, but as it turns out the developers need more time to put those extra finalizing touches. The guys from the Seattle studio wish to “make sure the game lives up to fans' expectations”, hence delaying the game for “later in the summer”. Little is known about Plants vs. Zombies 2. Platforms on which it will be released are still to be discussed, however, the game will be free-to-play, leaving room for speculations about buying special in-game items with real money. 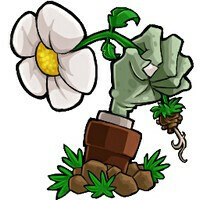 What we do know is that PopCap are working on a cooperative TPS (Third Person Shooter) in the realm of Plants vs. Zombies for the Xbox One, Xbox 360 and Microsoft Windows 8 as an entirely different game. Stay tuned to PhoneArena for more news about Plants vs. Zombies 2. There's a lot of us that are tired of this freemium crap and EA as a whole. I'll try it out because I loved the first one so much but very pessimistic on how it will actually turn out.